Merchandise trade between China and countries involved in the Belt and Road Initiative (BRI) is expected to grow by USD 117 billion this year, contributing 0.3% to global trade and 0.1% to global growth. Just because the plastic lands in the recycling bin doesn’t mean it will find a new life in another product. The newly formed Singapore based investment entity of $60 million, CleanGrid Partners will finance and operate renewable energy projects in Southeast Asia. Businesses in the tourist-rich areas of Southeast Asia have experienced a significant growth in both customers and sales among mainland Chinese travelers after implementing Chinese mobile payment solutions, a survey has found. Facebook and its subsidiary WhatsApp have promised to get tougher on “fake news” ahead of key elections in Asia, but critics question whether the new policies can stop viral disinformation from influencing the outcomes. 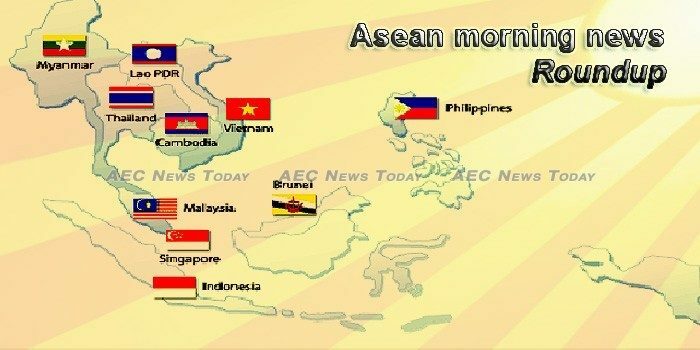 The private sector has urged ASEAN to prepare for the 4th Industrial Revolution. At ASEAN Tourism Forum (ATF) 2019, ASEAN National Tourism Organizations (ASEAN NTOs) revealed their collective efforts in marketing initiatives to inspire travel to Southeast Asia. Southeast Asian tourism officials once again stressed the need for sustainable tourism as the region’s annual tourist arrivals grew by 7.6 percent in 2018.
International businesses should take a serious look at the fast-growing Southeast Asian region as a location to manufacture in, source from, and sell to, despite the downturn in global emerging markets over the past few months, says HSBC Malaysia. Seventy students from 10 ASEAN countries, Bhutan and Timor Leste are attending a seminar on incorporating the sufficiency economy philosophy into their daily lives. The production rate of local rice will be increased to 75% from the current 70% as Malaysia looks to reduce dependency on imports, said Datuk Salahuddin Ayub (pic). Malaysia ranks 27th according to the 2019 Global Talent Competitiveness Index (GTCI) as Switzerland, Singapore and the United States continue to lead the world in talent competitiveness. Fewer tourists from China are coming during the two-week Chinese New Year holiday period next month, say industry players. CHINESE tourists continued to lift the total foreign visitor arrivals in the Philippines, helping overcome the sluggish South Korean market in the 11 months to November 2018. The government is ready to provide assistance should a private entity decide to invest in the embattled Hanjin Heavy Industries and Construction Philippines (HHIC), the Department of Budget and Management (DBM) said yesterday. Singapore’s headline – or overall – inflation climbed to 0.5 per cent in December year on year, after falling to a six-month low of 0.3 per cent the month before. Actor Aloysius Pang died on Wednesday (Jan 23), four days after sustaining serious injuries while taking part in Exercise Thunder Warrior in New Zealand. Singapore, a country with a population of just about 5.6 million, is one of Asia’ top financial centers and a global trading hub. Fintech accounted for the maximum funding in Vietnamese startups in 2018, surpassing e-commerce and other sectors.